You are already aware that your motorcycle gas tank is usually wet because of the fuel running inside the tank. You need to keep it clean. 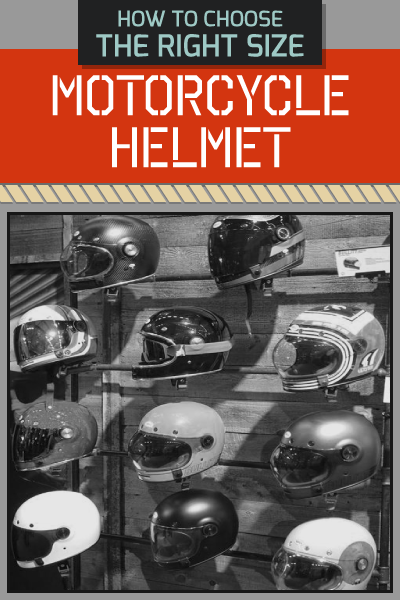 Maintaining the quality and performance of your motorcycle will depend on how you will take good care of it and its different parts. Cleaning the motorcycle gas tank is not an easy task. Even motorcycles that are well cared for still have some signs of rust and debris inside the gas tank. If you would like to clean it, you have to know how to do it correctly. You do not want to end up ruining your gas tank because of not following the basic details that are needed to keep it clean. If excess air and moisture would be present inside the motorcycle tank, this increases the chances of the tank acquiring rust and grime. There are some products that you can use in order to prevent excess air and moisture. Never let your gas tank run dry. If you let it dry, you can be sure that rust will start to form. Unlike cleaning the gas tanks of other vehicles, cleaning your motorcycle’s gas tank will not require you to have expensive tools. This is because motorcycle gas tanks do not have moving parts. You simply need to use a few items to ensure that you will be able to clean your tank properly and safely. Gloves - This is very important because you need to protect your skin while you are working. Try to find gloves that will not irritate your skin. Goggles - You can never tell if the gas that you are cleaning will splash around the area. You need goggles that can help protect your eyes if in case it happens. Cleaning Solution - It will be hard to clean your gas tank without a proper cleaning solution that can do an amazing job in removing the rust that has gotten stuck in your tank. If you want a more organic cleaning solution, you can use baking soda or white vinegar. Flashlight - It will be hard to see if you have gotten rid of the rust that is stuck on various parts of your tank. If you want a very handy flashlight, search for one that you can attach to your hat so you can work for hands free. Putty - You only need this if you believe that there are some holes in the gas tank that may cause air and moisture to leak inside the gas tank. Socket Set - To ensure that it will be easier to remove and lift the gas tank, this is the best item to use. 1. Remove the gas tank from your motorcycle. When you remove the gas tank, make sure that you will leave some of the items so that you can reconnect them properly. 2. Check if there are some holes so you can use the putty first. If you do find some holes, apply the putty and allow it to dry before you can proceed with cleaning the tank. 3. Wash the tank with soap and water. If there is some fuel left in the tank, you may clean with your gloves so that your hands will be protected. Remember that you need to clean the tank more thoroughly if there is a lot of rust. 4. If you are unable to remove most of the rust, you can shake the tank with a few pieces of metal to remove the rest of the rusty pieces entirely. 5. Add the cleaning solution to the tank. Remember that use of your gloves is important especially if you are going to use cleaning solutions that contain some chemicals. 6. You can check if most of the rust has already been removed. If yes, then you can get rid of the cleaning solution and rinse the tank properly. 7. Once you are sure that the tank has been rinsed thoroughly, you can place a small amount of gasoline to get rid of the moisture entirely. 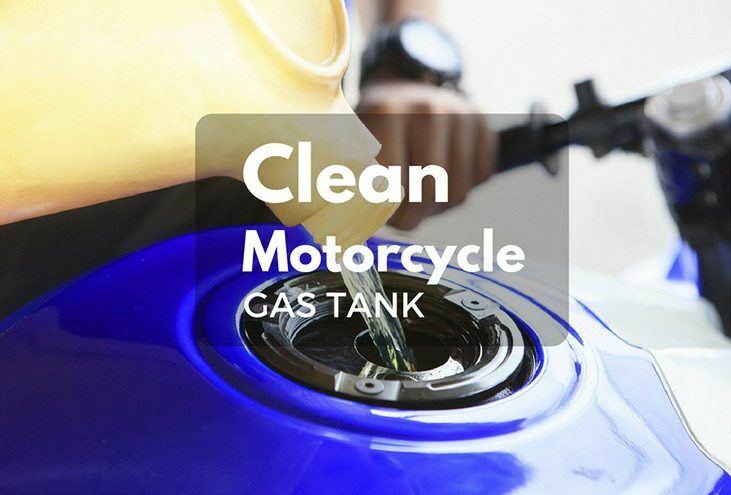 Usually, after cleaning your motorcycle’s gas tank, you will see if the motorcycle ‘s tank is still good to be used for a long period of time or if you would need to replace it. 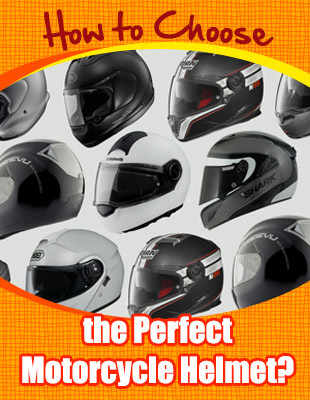 If in case you need to replace it, you can buy from specialty stores or from the Internet. 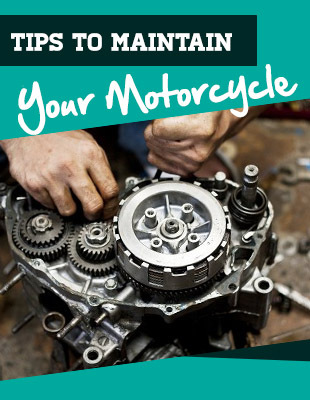 Hopefully, the things that you have learned above are enough to help you clean your motorcycle gas tank properly. Do not forget to do this from time to time.